Wanted to get this done first before I went to bed for the night... with my Reggie 'cause I own the thread! just kidding! I just didn't know you'd be around when it came down to this..
Yay for a new thread and excellent choice of a title. Think I need an evil regal hug. We get a new episode tonight. Hey Tami. How are you? Hows the episode catch up going. Which one are you on now. Is Fanforum being really annoying for you today. Maybe its my computer but its really slow for some reason. Next episode I have to watch is 1.08. works fine for me. I am very well thanks. Looking forward to new episode tonight and seeing promo for 1.18 as well. Hmm 1.08 can't say it's one my favourite episode but still has some great scenes. I dunno Fanforum a little off for me today. A lot slower than usual but it could be my internet connection. 1.08 isn't really one of my faves either. But 1.09 is True North has some epic EQ scenes in it! OMG Jacquelyn 1.09 is an epic episode. Loads of EQ. I love that episode. Lana is awesome in it. Horrible kids being horrible to her though. And do you know what else is awesome Jacquelyn. We get a new episode tonight and a promo for Stable Boy. I am literally sick to my stomach with excitement. 1. What mean thing did she supposedly do? 2. What changed for better since Emma came? 3. What's this bull**** about Regina being a bad mother? Yeah 1.09 is great for EQ. You will love 1.11 so. You get to see a completely different side of Regina for a while. It's awesome. It contains some of my favourite Regina moments ever. And there is one particular scene, about ten minutes into the episode that is bound to break your heart. This woman's facial expressions will be the death of us all. 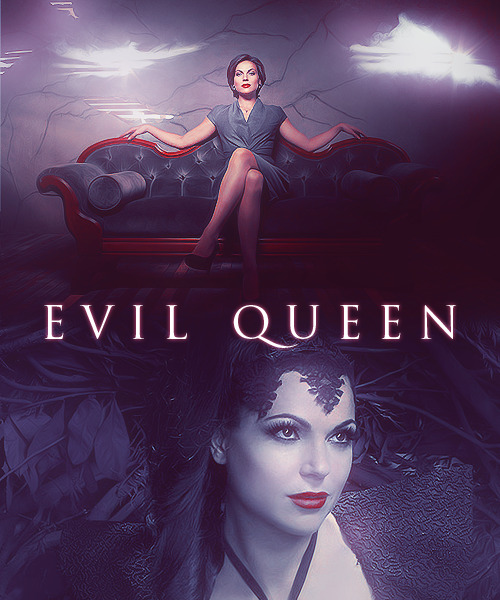 I think Storybrooke citizens are just a little afraid of Regina. I guess she can be considered intimidating. As for Regina being a bad mother I don't see it all. She has done nothing but care for and love that kid and just gets no thanks for it from him. I will say alot of things Regina has done can be considered wrong but her love for Henry has always been something I believed to be true. Her worry over his safety when he was trapped in the mine being a prime example. I think this whole Regina/Henry dynamic will be something the writers will explore in the future. What led Henry to believe Regina is the EQ? Why does he seem to hate her so much? It could be interesting for the writers to incorporate some storybooke flashblacks to explain the reason for their damaged relationship. The top one is one of my favourite moments ever of the episode. She freaking face my heart. Another moment in that scene is this one. Sorry forgotten source again so if you own please let me know and will credit. I absolutely adore this moment. Lana breaks my heart with this look. Her eyes, her face, the way she has her arms wrapped around herself in a gesture of self comfort. Her acting is flawless. I know we learn she tricked the genie in this episode but she had no idea he had followed her out. She was genuinely heartbroken, vulnerable and hurt and it makes me sad for her every single time I watch it. I am convinced this tree stands for something with her, like the chipped cup does with Mr Gold. She went straight to it after she had been hurt here. Maybe it represents a time in her life when she was truly happy. As for second gif. It gives new meaning to the phrase "You had me at "Hello". Poor genie didn't stand a chance. Plus did I mention how absolutely beautiful Lana looked this episode. She always looks amazing but I think the brighter colours she got to wear in certain scenes in this episode just showed what a true beauty she really is. Oh my goodness I agree with your post. She definitely looks gorgeous in anything/everything, but just that particular episode had me. I mean she did an incredible acting job on it, and her emotions were perfect. Plus I loved her make up and outfit. I do agree, that tree seems to symbolize something. It has a part in her life somehow.